Gemma Louise Salon is beautiful trendy place on Liverpool Road South, Maghull, Liverpool. It is the perfect place to pamper yourself with a new hair style, or beauty treatment. It’s time to relax and enjoy yourself. There’s free car parking too, so you can be sure your experience at Gemma Louise Salon will be stress free. 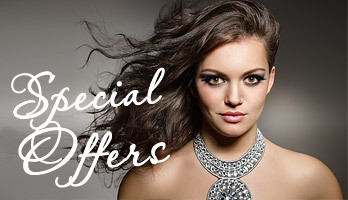 GET THE LOOK and look gorgeous with our special offers. Treat yourself to an super glamorous experience, hair, cut and colour, Shellac Nails and Lash Perfect. Our beauty therapy treatment rooms provide a unique spa-like experience. We offer a professional range of pampering treatments to keep you looking good and feeling beautiful. Gemma’s team of hair experts will always give you a full consultation and an honest opinion on what style will suit you. We always use top quality hair products and latest techniques for guaranteed results. We’d love you to join our mailing list so that we can drop you the occasional email to keep you in the know regarding exciting forthcoming Events, Product and Treatments Offers and Package Deals. Gemma Louise Hair and Beauty Salon is locally based near the Meadows Leisure Centre in Maghull, Liverpool. We are a one stop salon for all your hair, make-up and beauty needs. We offer a complete range of hair, nail and beauty treatments and also have a fully qualified in-house make-up artist. Our Salon is also not far from Lydiate, Aintree, Kirkby and Ormskirk too, so we’re definitely worth a visit. You’ll find both atmosphere and surroundings at Gemma Louise Hair and Beauty Salon is both relaxed and friendly. We offer regular packages and special offers to both our new and regular clients, so be sure to follow us on Facebook and Twitter also. Gemma, the owner of Gemma Louise Hair and Beauty has over 15 years professional experience and is always available to offer advice where needed and an honest consultation. Book an appointment for hair, beauty treatment, make up or to get more information, Telephone Gemma Louise Hair and Beauty on 0151 520 0770.